By Eric Lazare on 11/28/16 • Leave a comment! 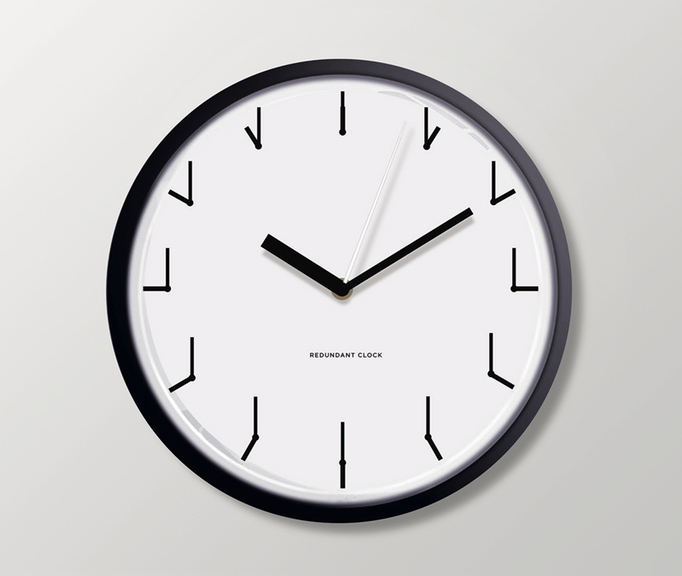 This is the Redundant Clock, by graphic designer Ji Lee. 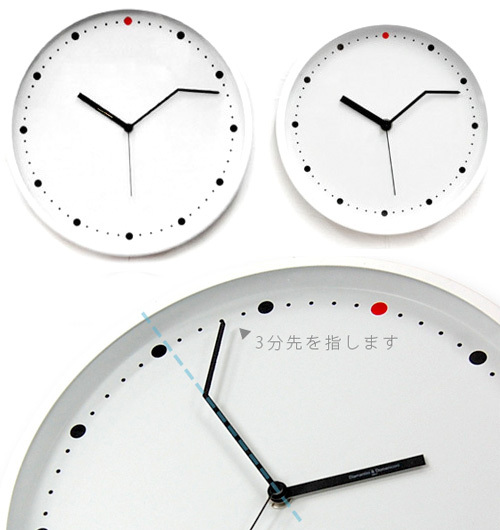 It’s a clock that shows you what time it is by showing you what time it is… if that makes any sense. He conceived of it several years ago as a school project and ever since he posted the image to his portfolio, he’s had people all over the Interwebs ask him where they can buy it. It was just a concept until recently, but now he’s got a fully funded Kickstarter where you can get your own for all of $49. You’re looking at the kind of thing that people with too much money spend said money on. 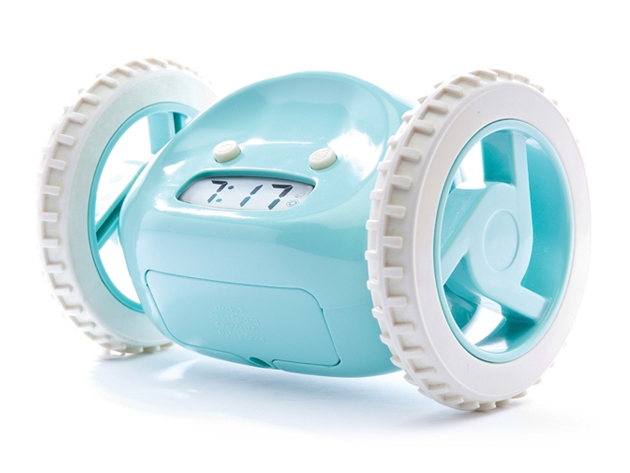 It’s a fancy clock that looks like what people in the 60’s thought robots in 2015 would probably look like. 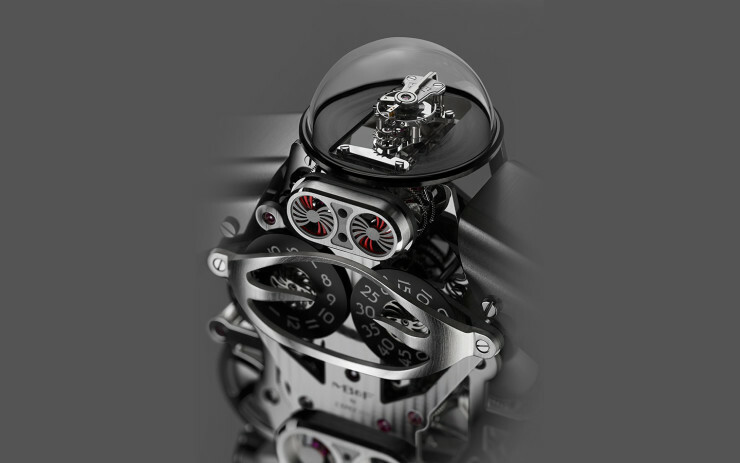 It’s made by fancy timepiece manufacturer MB&F (makers, incidentally, of this $230,000 Space Pirate Watch) and L’Epée 839, Switzerland’s only specialised high-end clock manufacturer. 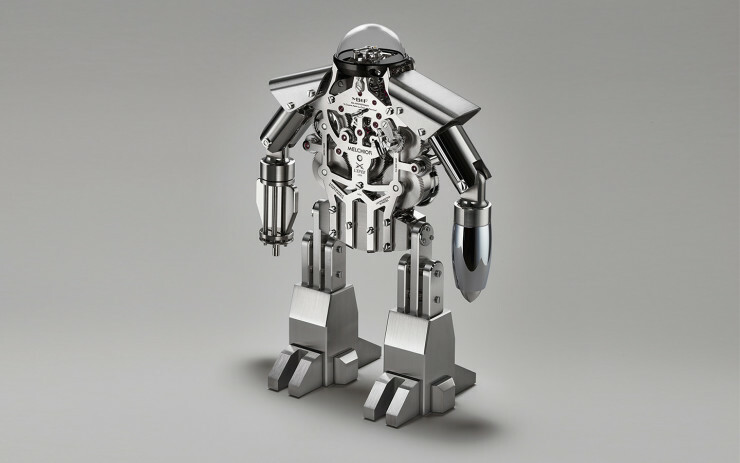 They decided to call it Melchior, and it costs $36,000. That’s about $35,900 more than we’d have been willing to pay for it, but we are not known for being discerning enthusiasts… and we’re also sort of broke. That’s not to say it isn’t “worth” the money, as far as those things go. 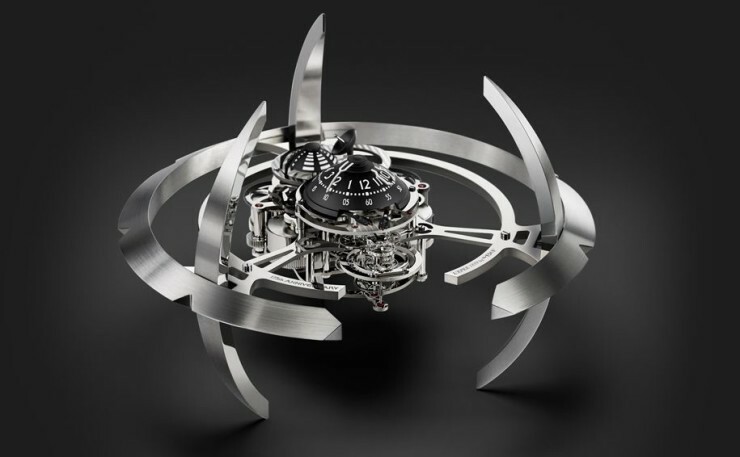 MB&F is a respected company and we have no doubt that the 480-component timepiece took some serious craftsmanship to pull off. It features a 40 day power reserve, is limited to 99 pieces and is available in a monochromatic ‘light’ edition or a two-tone ‘dark and light’ edition featuring black PVD-treated components, and will likely make a fun talking piece for when you have dinner guests over. But still… that’s a lot of money for something that only tells time. By David Ponce on 08/28/13 • Leave a comment! Here’s to hoping that an ambitious crowdfunding campaign on Indiegogo not only reaches its funding goals, but that the product in question turns into reality even if funding is met (which is not always guaranteed). 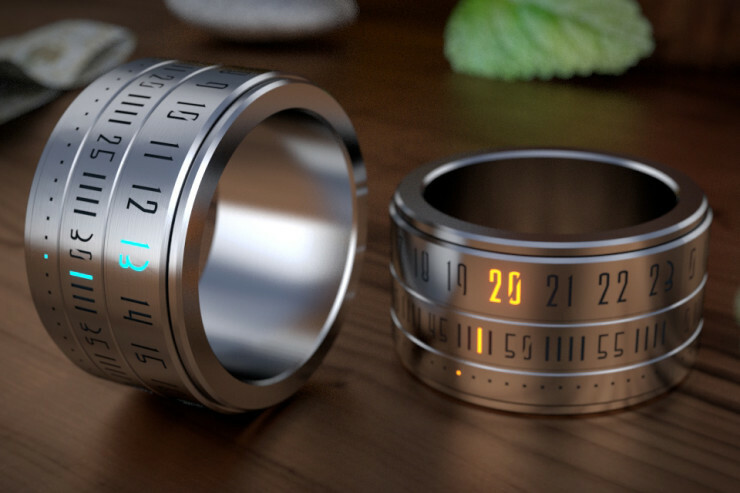 It’s called the Ring Clock, and is meant to be a time telling device worn on one of your fingers. It allegedly uses “ultra-thin mono-color LEDs” and a “6mAh, ultrathin rechargeable lithium polymer battery” to display the time at the twist of its body. The battery, though small, would be enough to give the ring one week of autonomy. Charging would be done wirelessly, through induction using the Qi standard and would involve nothing more than placing it on a charging plate. It’s an eye catching product, which would be sure to start several conversations at parties and altogether make you look like an Alpha geek. But here’s the rub. The company is seeking $287,400 in funding. 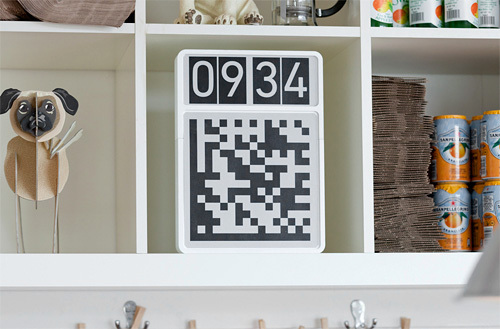 So far, the only concrete thing they have is a work-in-progress prototype which appears to be nothing more than the external body with laser cut numerals. They admit that they will use a third of the funds to complete said prototypes… so we’re not even sure if the concept can actually be pulled off. 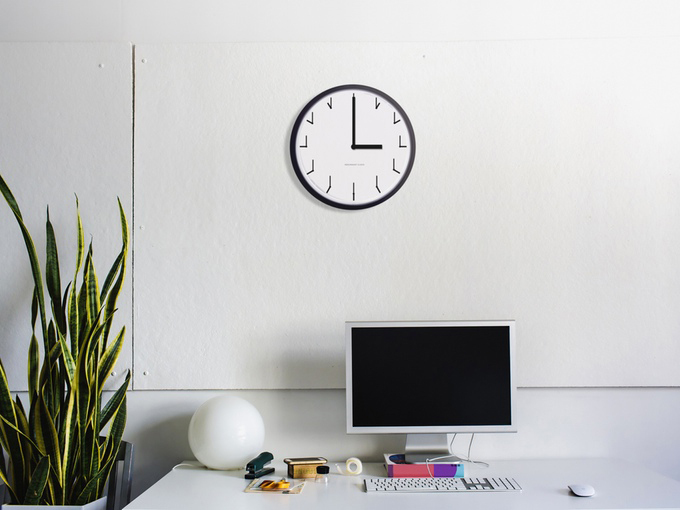 We’re not informed of any track record they may have, and considering how ahead of its time it is, we’re worried that even if they manage to reach their goal, that the Ring Clock will never be successfully manufactured. Still, this is the nature of crowd funding: to give an opportunity to people to produce innovative products when they might not otherwise have fit traditional criteria for doing so. Let’s hope they pull it off. It’s an $185 pledge to get in line for yours, which might arrive in April 2014 if all goes well. 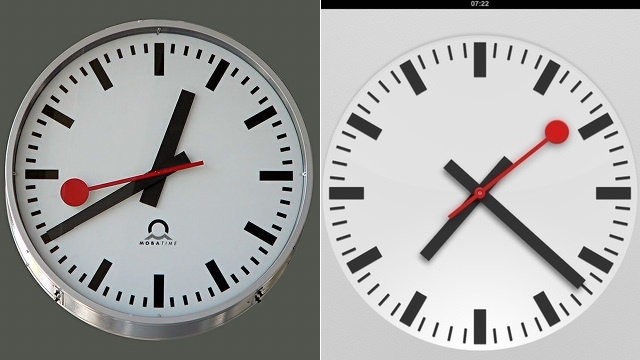 When iOS 6 came out, it didn’t take too long for the Swiss Federal Railway to take particular notice of the design of the clock. See, it turns out that particular design was theirs, created in the 1940’s by Hans Hilfiker, and Apple hadn’t asked for permission to use it, or even offered compensation. Granted, it was probably unintentional, but the Swiss wanted to get paid anyway. And they did eventually, in a settlement that has now been revealed to be in the amount of $21 Million. That works out to about $0.10 per iOS 6 device, though there aren’t enough details to determine if that’s how the number was reached. $21 Million however is a drop in the bucket of the Swiss Federal Railway’s $8.2 billion in revenue (2010), so the settlement is mostly a matter of principle than anything else. By Andrew Liszewski on 07/28/11 • Leave a comment! It’s probably just me, but if I was spending $1,500 on a timepiece, I’d probably put the money towards a nice watch. 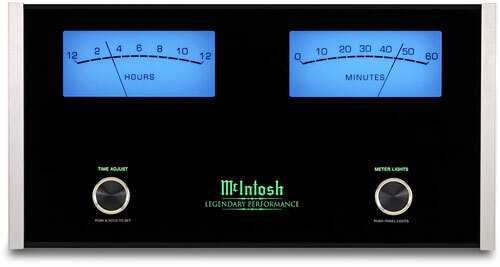 Not a mantle clock designed to look like one of McIntosh’s stereo power amplifiers. I’ll give credit where credit is due though. The clock is built with the same sized faceplate and meters as the actual amps, and the ‘hands’ in the 12 hour and 60 minute meters fly back when they reach the end of the scale. So the company gets high marks for their attention to detail, and I can certainly see the appeal of its soft green and blue glows in a dark room. Buuuuuuut in the end it’s still just a $1,500 clock. And I’m pretty sure even the audiophile friends you’re trying to impress would raise a skeptical eyebrow at it.